Take a look at this menu... can you guess what I chose? Nothing. 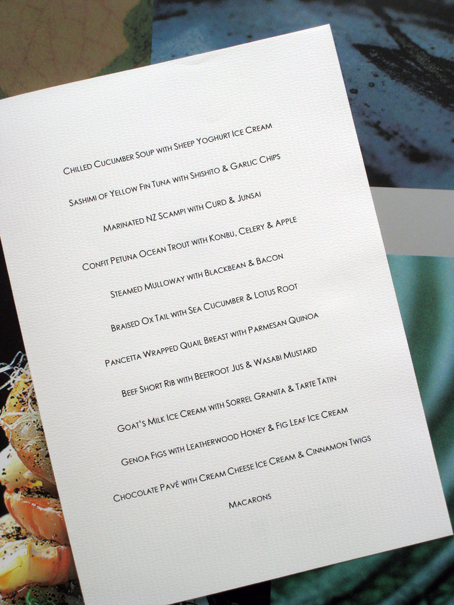 It was an 11 course degustation menu. I didn't have to choose, I had it all! And 5 courses prior to this. And gorgeous wines to accompany each course. I was truly spoilt and I'm still recovering from too much of a good thing! I'll tell you all about it tomorrow.